Mk 4:35-36 One evening in the autumn of 28AD, Jesus and his disciples set off across the Sea of Galilee in a wooden fishing boat in order to escape from the crowds (see 1 on Map 7). Mk 4:37-41 The lake is subject to sudden squalls, especially during the autumn. Winds blow from the west, funneling between the hills and whipping the lake up into a fury of waves. A sudden storm threatens to sink the boat while Jesus is asleep. The disciples are terrified and wake Jesus. They’re even more amazed when he rebukes the waves and the storm calms down. 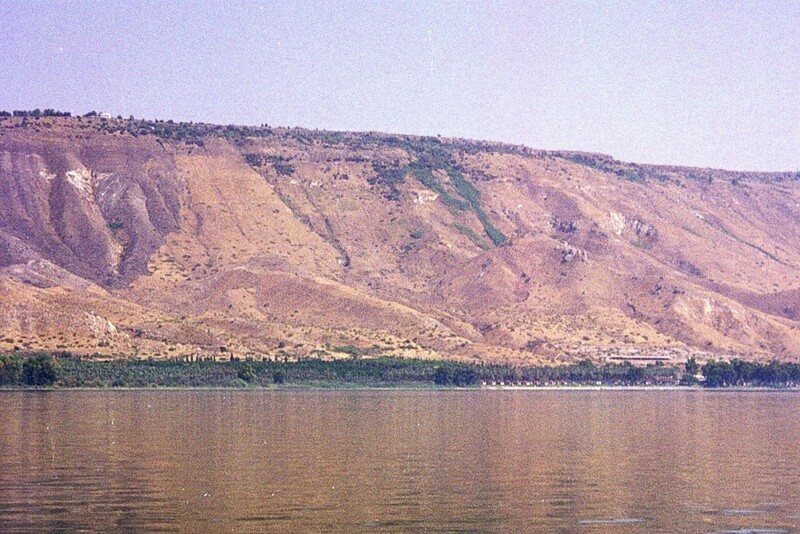 In 1985, when the lake level was particularly low during a time of drought, the remains of a wooden fishing boat were discovered on the bed of the Sea of Galilee near Magdala, to the north of Tiberias (see Map 7). Radiocarbon dating confirmed that the boat was built in the 1st century around the time of Christ. The boat was immediately dubbed the ‘Jesus Boat’ as it’s likely to be similar to the fishing boats that Jesus and his disciples used on the Sea of Galilee. The boat was almost 27 feet / 8 metres long and nearly 8 feet / 2.4 metres wide – so it was much larger than a small rowing boat and more the size of a small ocean-going yacht. It was powered by a large sail, and would have had plenty of room for seine nets that could have been drawn round into a circle to catch a shoal of fish (see John 21:6). The remains of the original hull have been preserved, and a replica of the boat can be seen at the Yigal Allon Centre at Ginnosar on the western shore, near the site of Magdala. 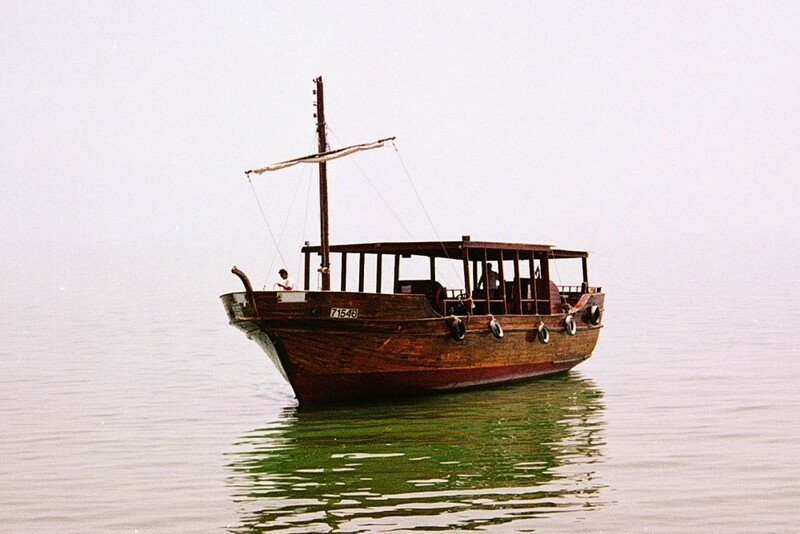 Today, other replica boats built in the same style as the ‘Jesus Boat’ take visitors across the Sea of Galilee from Tiberias and En Tabgha. Magdala, a small fishing village in the 1st century AD, was the home of Mary Magdalene, one of Jesus’s close circle of friends. Remains of a public building (possibly a synagogue) with heart-shaped columns and Doric capitals have been excavated near the lakeshore. Mk 5:1-17 Jesus and his disciples arrive on the eastern side of the lake in the non-Jewish territory of Gerasa (or Gadara) (see 1 on Map 7). Jesus casts out a whole ‘legion’ of evil spirits from a man and they enter a herd of pigs. The pigs rush down the steep slope into the lake and are drowned. The healing of the man with a ‘legion’ (a large number) of evil spirits took place in, or close to, the Decapolis - an area of ten semi-autonomous Greek cities on the eastern shore of the Sea of Galilee which had been given the freedom by the Romans to conduct most of their own affairs. Gerasa (modern-day Jerash in Jordan) was one of these ten cities (see Map 7). The healing could only have taken place in a Gentile (non-Jewish) area as the herd of pigs (into which the evil spirits were sent) would not have been found in a Jewish territory such as Galilee. This is because orthodox Jews consider pigs to be ritually ‘unclean’ (see Leviticus 11:7) and therefore don’t rear pigs or eat pork. 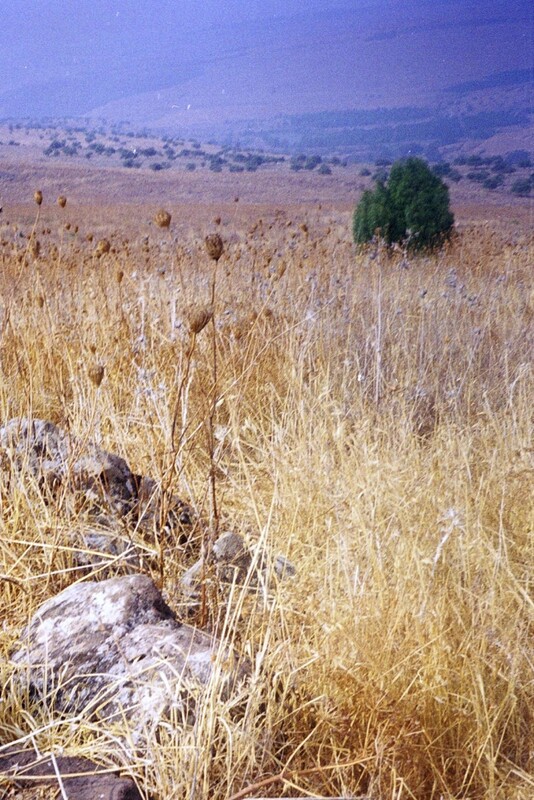 The steep slope above the Sea of Galilee where this healing is believed to have occurred is on the eastern shore of the lake in the Kursi National Park to the north of Ein Gev (see Map 7). In 1970, archaeologists uncovered the remains of a large Byzantine monastery and church built here in the 5th century AD to commemorate the healing of the Gadarene man. Today, visitors can sail across the Sea of Galilee from Tiberias to Ein Gev before catching a local bus to see the mosaics and reconstructed remains of the church building at Kursi. Mk 5:18-20 The man who has been healed goes through the Decapolis (the territory of the ten Greek cities on the south eastern shore) telling people what has happened. Mk 5:21-43 Jesus and the disciples sail back across the lake to Capernaum (see 2 on Map 7), where they are approached by a distraught leader of the local synagogue whose twelve-year-old daughter has just died. Jesus miraculously brings Jairus’s daughter back to life and heals a sick woman who dares to touch his coat in faith, even though she is regarded by most Jews as ritually ‘unclean’ (see Leviticus 15:25). Mk 6:1-6 Jesus and his disciples leave Capernaum and walk to Nazareth (see 3 on Map 7) where Jesus is rejected in the synagogue in which he grew up by those who see him as ‘just a local boy’. Jesus is amazed at their lack of faith and is unable to perform many miracles – apart from healing a few sick people. Jesus was frequently disappointed by the lack of faith shown in the villages and towns of his home area. In Matthew’s gospel, Jesus denounced the towns of Galilee that would not repent of their wrongdoings even though they had witnessed the miracles he had performed: “How terrible for you, Korazin! How terrible for you, Bethsaida … And you, Capernaum, will you be lifted up to heaven? No, you will be thrown down to the depths” (Matthew 11:21-23). Korazin (Chorozain) was one of three small towns situated just north of the Sea of Galilee (see Map 7). Unlike the other two lakeside towns, it was situated in the Galilean Hills about 2 miles / 3.5 km from the shore. Being nearly 900 feet / 280 metres above the level of the lake, it had a good view south across the Sea of Galilee. Remains of the 1st century Jewish settlement at Korazin can still be seen today, including several small stone-built houses and a synagogue. The town expanded considerably in the 2nd century after the Roman Emperor Hadrian expelled the Jews from Judaea in 135AD. It was extensively rebuilt in the 4th century, and remains of larger Byzantine houses, surrounded by courtyards, can be identified as well as steps leading down to a large bath for ritual cleansing. The 2nd century synagogue has been partially restored, and contains an inscribed basalt ‘Seat of Moses’ on which the rabbis and Pharisees sat (see Matthew 23:2). Mk 6:7-13 Jesus leaves Nazareth and teaches in the villages of Galilee. He sends out his twelve ‘apostles’ to preach, heal and cast out demons during the winter of 28AD. They spread Jesus’s message, and many people respond by being sorry for their wrongdoings and turning back to God. Mk 6:21-29 Herod Antipas, the ruler of Galilee and Peraea, is disturbed when he hears about Jesus’s popularity. Some people think that Jesus is John the Baptist, raised from the dead, as Herod Antipas had beheaded John some months earlier at Machaerus (see Map 3).